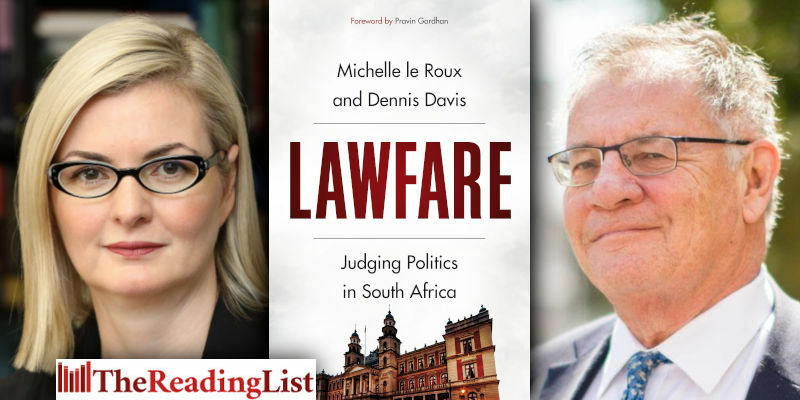 Lawfare: Judging Politics in South Africa by Michelle le Roux and Dennis Davis is out now from Jonathan Ball Publishers. Certainly, the legal system was used by both the apartheid state and its opponents. But it is in the post-apartheid era, and in particular under the rule of President Jacob Zuma, that we have witnessed a dramatic increase in ‘lawfare’: the migration of politics to the courts. Michelle le Roux holds degrees from UCT and New York University, and is a member of the New York and Johannesburg Bars. While practising in New York for nearly a decade, she secured multi-million dollar verdicts for her clients, including victims of discrimination and sexual harassment. Her commercial and antitrust practice has seen her participate in the recent amendment process for the Competition Act. She is an adjunct Professor at UCT, teaching competition law. She is currently acting for NGOs such as the Council for the Advancement of the South African Constitution and Corruption Watch in various state capture-related cases.